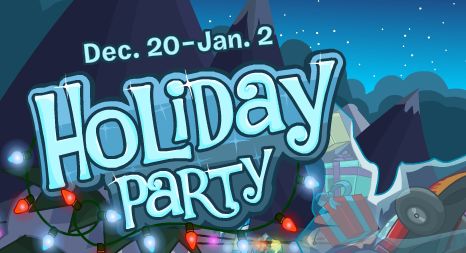 The Holiday Party for December 2012 arrived to the Island on Thursday, December 20 and will be available on Club Penguin until January 2. If you have not already contributed to the Coins for Change, I encourage you to do so, as Club Penguin will be donating $1,000,000 USD to Provide Medical Help, Protect the Earth, and Build Safe Places. You can also visit the Coins for Change Bakery on Club Penguin, where you can purchase a cookie that transforms you into a Toy Car, Reindeer Puffle, or Frost Bite. On Friday, I updated the CP Coins Money Maker, allowing you to select a checkbox to store the login credentials of your account using HTML5. Unfortunately, the “Remember Penguin” feature does NOT support older browsers that do not have native support for HTML5 Storage, such as Internet Explorer 6 and Internet Explorer 7. Today, I made an additional update to the Money Maker, allowing you to upload 10,000 coins each day to your account on Club Penguin. However, I may make adjustments to the daily limit over the next few weeks, especially after the departure of the Holiday Party. What do you think of the Holiday Party and the updates to the Money Maker? I am pleased with the turnout of this year’s Holiday Party and I really like some of the new rooms the team rolled out on Club Penguin. I am obviously biased toward my Money Maker, but I think we can all agree that no other website can compete with CP Coins! This entry was posted in Announcements on December 22, 2012 by admin.